Primary Target: Pre-school girls and boys aged 2-6. 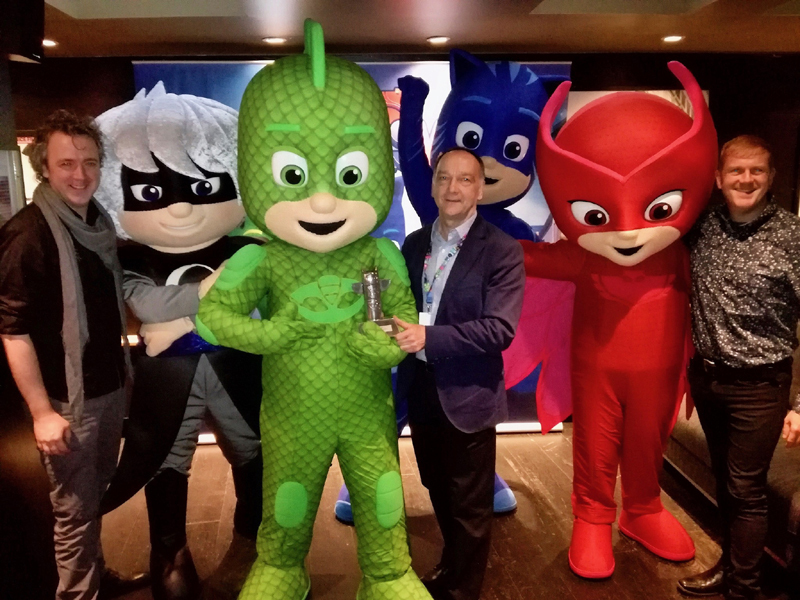 These are the official PJ Masks licensed characters, PJ Masks. PJ Masks is an animated television series following three young friends – Connor, Greg and Amaya -who transform into their superhero alter egos at night by putting on their pyjamas and activating their special amulets. 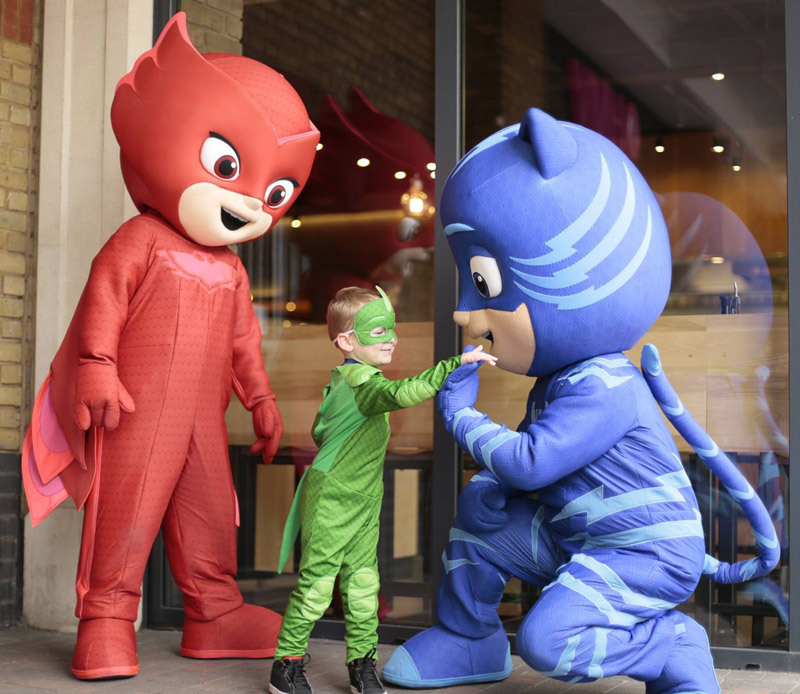 Catboy is Connor’s superhero alter ego and is the leader of the PJ Masks. He wears a blue costume with ears and a tail and is gifted with super speed and strong cat-like hearing enabling him to hear his enemies from far away. Greg’s alter ego is Gekko who wears a green costume and is incredibly strong. He is also able to climb up walls and ceilings and alter his appearance and colour to blend in with his environment. Owlette is Amaya’s superhero alter ego who wears a red costume with a feathers-like cape. She is able to fly and see at night! Luna Girl loves to get her own way, and has a terrible tantrum if she doesn’t get it. She’s on a mission to take all the fun day time things for herself, and gets very frustrated when the PJ Masks foil her plans! Her super power is the Luna Magnet, her helpers are the moths and she fly’s on her Luna Board. Romeo is a genius and is always attempting to capture the PJ Masks and take over the world using his latest inventions. With gadgets galore, his helper robot and mobile laboratory, the PJ Masks must work together to defeat Romeo. However, Romeo’s brain power is no match of the PJ Masks! 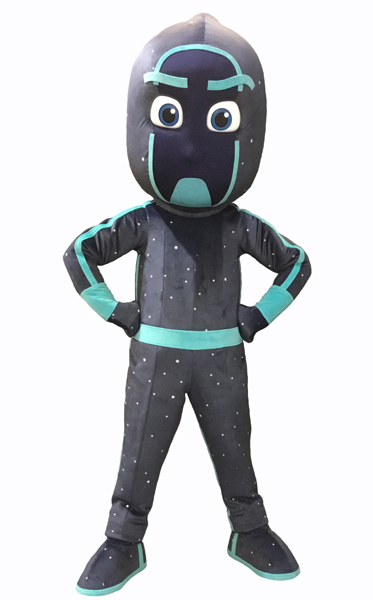 Night Ninja is an expert in martial arts and back-flips his way to show everyone he is the best at everything. 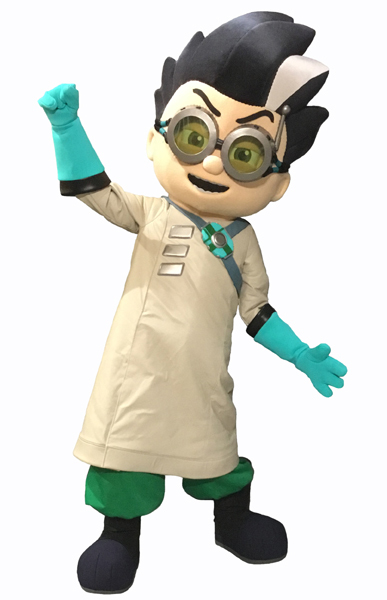 He is the leader of the Ninjalino’s, who he treats like soldiers in his mission to hijack the PJ Masks HQ. A Superhero Show for pre-schoolers. 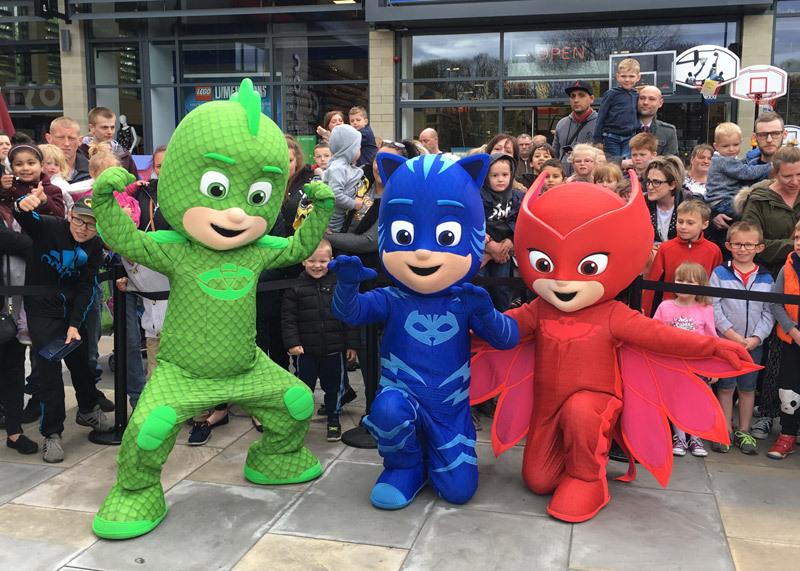 PJ Masks premiered in the UK on the Disney Junior Channel in February 2016 and was quickly a hit success. Brand new episodes coming early 2018, with a further 52 in production for 2019. The show is based on French author Romauld Racioppo’s picture book series called Les Pyjamasques. Core brand values: Friendship and Teamwork; Action and Adventure; Humour; Superheroes and Imagination. Kids and Grown Ups brand website includes interactive elements and activities. 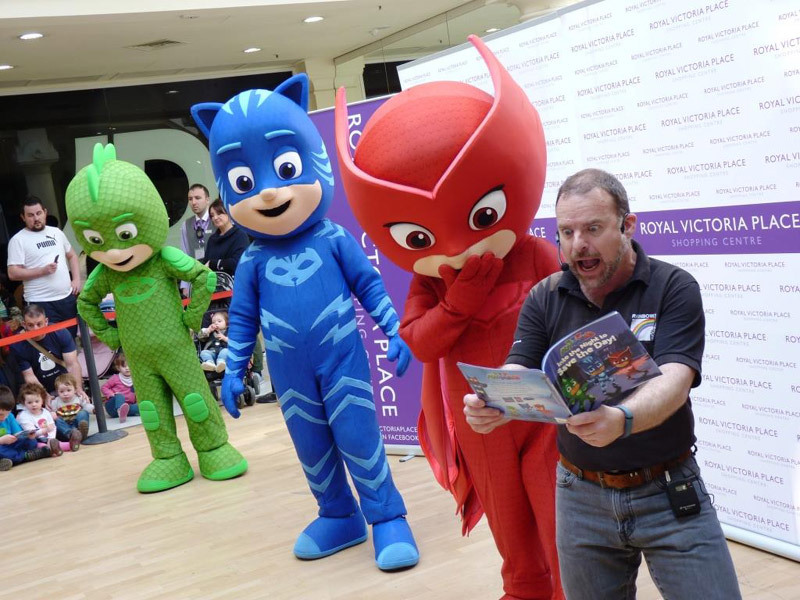 Catboy, Gekko, Owlette, Luna Girl, Romeo and Night Ninja character costumes are available to book for personal appearances at UK events.